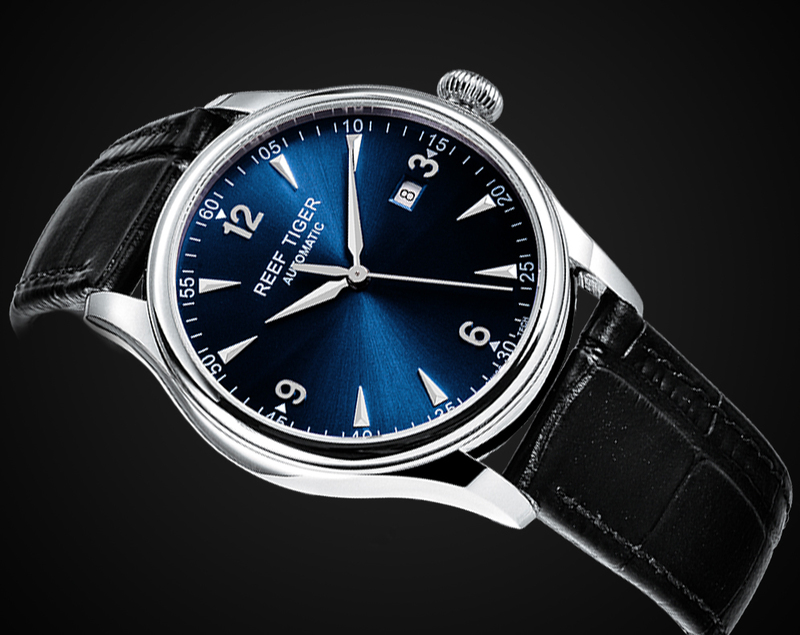 Reef Tiger Artist Series Grand Master watches express the elegant of classic watches. The classic design combined with excellent technical performance, represent the quality and reliability of Reef Tiger watches. The Artist Series watches started "1000 hours testing" since 2008, the technical specifications established in the test by now has become a standard of every Reef Tiger watch. All the time in search of the meaning of life, Reef Tiger never stop exploring the Swiss watchmaking spirit. In the course of history, every new product of Reef Tiger are constantly showing classic spirit in a modern . Today, the new launch Seattle Walker watch using its elegant designed and Swiss-made automatic movement the classic legend. One perfect watch,the amazing not only the dial,but also the details of the others,the REEF TIGER,the really peferct watch. About the black shark ,the feature of case is its Rotating , has high Practicality and also a new watch design concept.